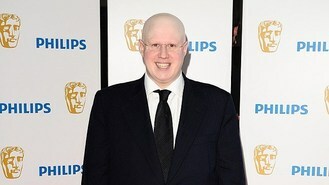 The Matt Lucas Awards funnyman stepped behind the camera for the music video for The Proclaimers' new single, Spinning Around In The Air, which he wrote the script for and also makes a cameo in. "It's my first, it might be my last as well," said the Proclaimers fan. The video, which is a satire on a Golden Wedding party set in a Glaswegian bungalow, sees the Scottish twins Charlie and Craig Reid dressed up as old ladies. Charlie said: "Matt said it was going to be liberating, and I think liberating is an understatement." "They could turn a man. They've turned me straight. I think it's the start of something new, a new chapter in the lives of one of Britain's top female duos!" quipped Matt. He added: "I had this idea to do this 50th anniversary party and shoot it as though it's shot on home video; and there's a punch going around this party that gets all these respectful senior citizens disgracefully drunk and uninhibited." Both brothers had only praise for the first-time director, with Charlie saying: "We had a great time doing the video. Matt was a brilliant director and kept everything focused and hilarious alongside a great cast and crew." Craig added: "It was a unique experience. Matt has great ideas and I think the video really compliments the song." Spinning Around In The Air is the first single to be taken from The Proclaimers' new album Like Comedy, which is released on May 7.